Vella Seedai | Sweet Rice Balls!!! Uppu Seedai | Crispy Rice Balls!!! Cooking with Love - Host lineup! I love Veg cutlets and always had at restuarants in Bangalore. We get good ones when we are on train to chennai. This one is my Father in laws speciality and it was so yummy. Thanks for teaching me Dad. I had previously posted Potato Cutlet checkout the post. This is a perfect starter for parties. Boil the potatoes and mash it. Keep it separately. Transfer it to a wide vessel. Slightly mash it when its hot. Add kadalai maav/besan, onion, salt, red chilli powder, garam masala and make medium size balls. Take in your palm slowly and firmly press once and coat bread crums on both sides. Don't over press, it may break while deep frying. Heat oil in a kadai and deep fry till golden brown. Serve hot with tomato ketchup or enjoy as it is. - You can also shallow fry instead of deep frying. - You can also bake. - You can also add chopped green chilli, I didnt add as it will be spicy for my kid and my inlaws. - You can do it without onion also. - You can also add Pudina/Mint leaves. 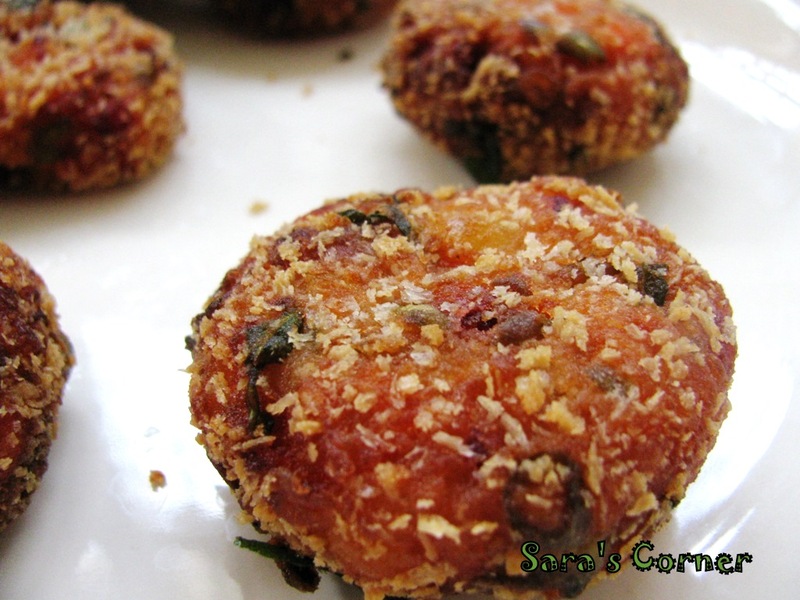 This recipe is going to Monsoon Medley Event by Sukanya and Serve it Fried by Denny and Krithika. Thank you friends for ur lovely comments. wow ! 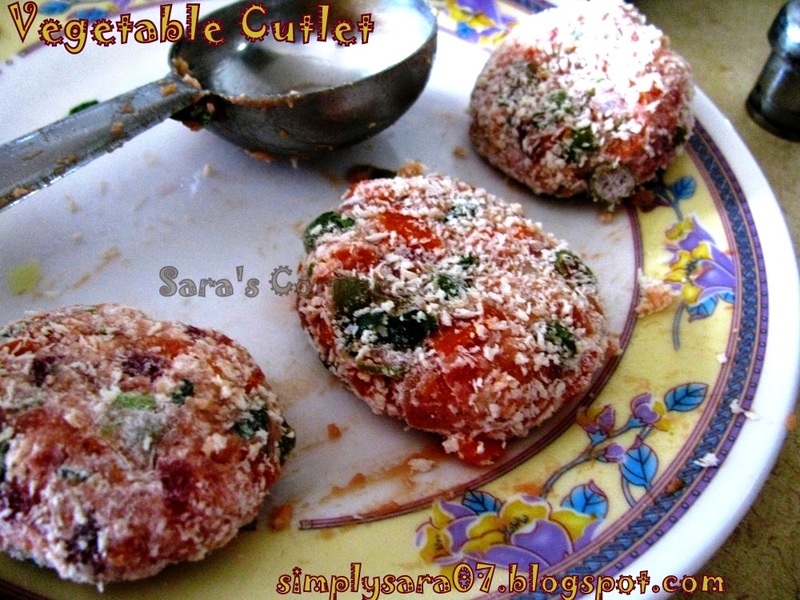 awesome looking veggie cutlets..very healthy and kids will love it! I too love the train cutlets... yours has come out super crispy and colorful. You could send this to the Serve it-fried event happening at our space..
perfect cutlet....with tea perfect combo....rombo super click saras!! Thanks for dropping at my space many times and for your lovely words..
Cutlets look awesome! Sounds very nice and nice clicks too! 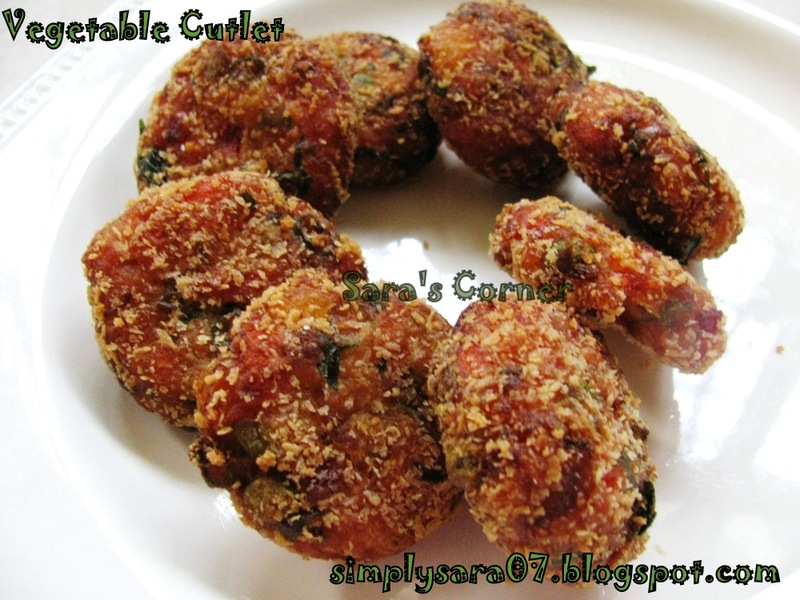 Wow so yummy cutlets addition of beetroot is superb idea.. This one I definitely need to bookmark & try it out soon!! !